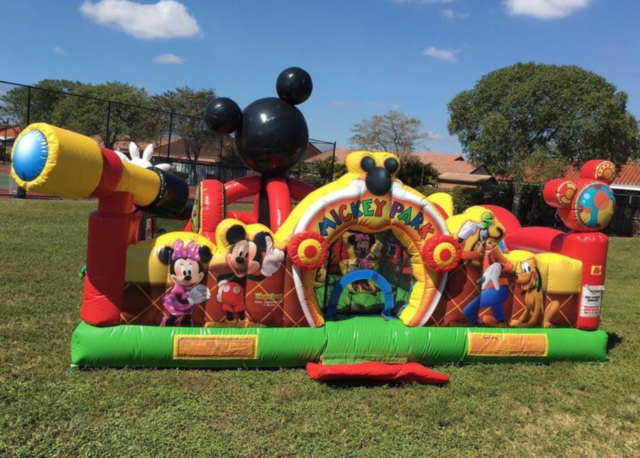 The licensed Mickey Park playland is the perfect way to combine active fun with a stimulating learning environment. 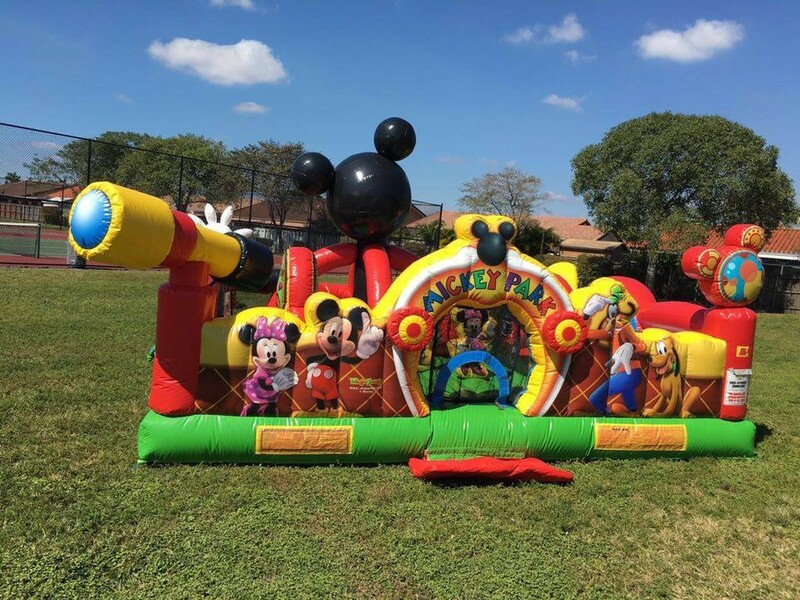 Young players will engage in a trio of educational games including a shape activity with Mickey Mouse, matching colors in the ball pit (balls not included, and they are not necessary for enjoyment) and counting shapes with Goofy. Colorful pop ups and 3D characters abound in this bounce house, and an exciting climb and slide will have them laughing all day. Fantastic 3D artwork for Mickey Park adorns the bounce house walls!